The best waterproof camera lets you capture your best adventures in rugged, wild, and watery places. You do this with waterproof cameras, plain and simple. 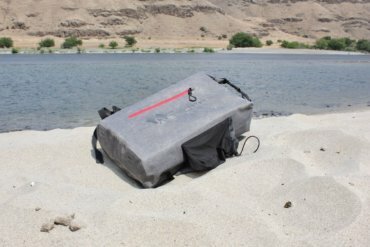 With today’s rugged camera options, there’s no need to agonize over the levels of ruggedness, either: All of these point-and-shoot digital underwater cameras are shockproof, dustproof, and ready for whatever adventure you can dish out — the best waterproof cameras are fantastic marvels of engineering. 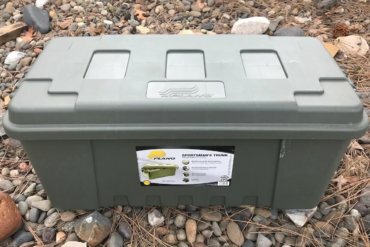 We’ve spent multiple weekends and dozens of hours putting waterproof cameras to work by shooting video of kids, fish, dogs and deer to help us review the best waterproof cameras for 2017 and beyond. We tested the best waterproof cameras on beaches, rivers, and in the dirt. 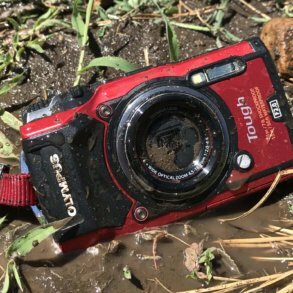 Of course, you should know that even the best waterproof camera will not take photos as well as a full-size DSLR or mirrorless camera. The best waterproof cameras are not as socially integrated as your smartphone, but they will, however, wirelessly transfer photos to your smartphone — and let you use your smartphone as a remote control. The most important thing about the best waterproof cameras in 2017, though, is they will give you the confidence to lean over the side of your boat and snap the photos of your life. With one of these cameras, you can chase your kids around the water park all day long, take video of fish, or wipeout in wet snow and not worry about breaking your smartphone screen. 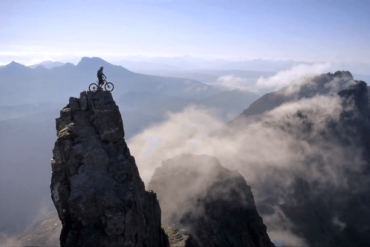 You’ll have a chance to capture the face of sheer adrenaline. 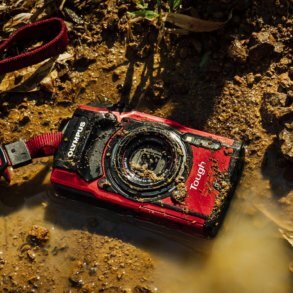 The best waterproof cameras help you amp up the quality of your adventure both during and after you return home. You don’t have to worry about a freezeproof camera doing its job in the toughest outdoor conditions. 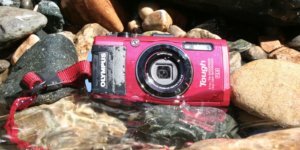 Right now, all of these waterproof cameras are great, but the Olympus Tough TG-5 and Nikon COOLPIX AW300 are clearly the top two best waterproof cameras today. All of the cameras have a few options or features that could give one an edge to become your own best waterproof camera — for example, the price-to-value ratio, the photographic quality, the optical zoom lens, or the action video quality. As of right now, the brand new Olympus Tough TG-5 arguably edges out the brand new Nikon COOLPIX W300 as the best waterproof camera available right now because of the extra add-on lenses you can get for it. In case you’re wondering, the Olympus TG-5 is very similar to the TG-4 but it features a whole new processor and a drop down to a 12 megapixel sensor. In fact, it now uses the same processor found in the highly regarded Olympus E-M1 Mark II — that’s a huge win for rugged outdoor enthusiasts. 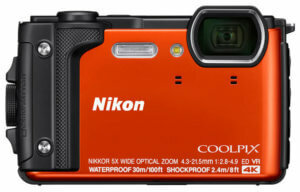 As for the Nikon COOLPIX W300, the best new feature is the boost in video recording capabilities. Read on for more details! The new Olympus Tough TG-5 is the best waterproof camera for a wide-range of rugged adventures. For more detail, here’s a review of the best waterproof cameras for 2017 — pick the camera that fits your budget or has that key feature you just can’t live without. The newly updated Olympus Tough TG-5 is the best waterproof camera for a wide-range of rugged adventures. The 12 megapixel Olympus Tough TG-5 is waterproof down to 50 feet and with its accessories, it may be the most versatile rugged camera available in 2017. 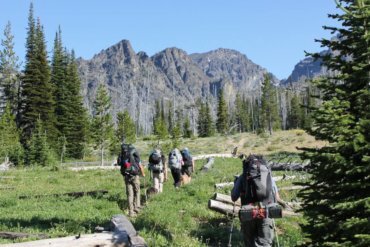 It offers built-in WiFi connectivity with iOS and Android mobile devices, which lets you control the camera remotely, even going so far as to let you control the 4x optical zoom, select shooting modes, use the self-timer, and trip the shutter (handy for loners and group shots in the backcountry). The TG-5 also includes GPS, an electronic compass, barometer and thermometer. 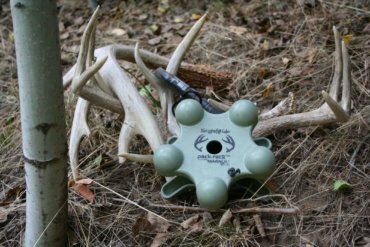 These sensors work with Olympus’s new Field Sensor System to automatically record tracking data with simple on-off switch. Better yet, you can overlay this over the top of your videos. In addition, it is the only rugged and waterproof point-and-shoot camera that has the ability to shoot RAW photos, which lets more experienced photographers edit their photos with more precision. Another claim to fame in the TOUGH TG-5 is its relatively fast F2.0 aperture lens (F4.9 for telephoto) compared to most waterproof cameras. Up close and personal, the TG-5 features a set of microscope modes that will let you take astoundingly close photos of very small objects, like snowflakes, insects, or flowers. The TG-5 has yet another nifty feature up its sleeve — add-on lenses. You can screw on an Olympus Telephoto Tough Lens to bring your zoom out to 7x or you can choose a ultra wide angle Olympus TG-5 Fisheye Converter Lens lens that brings more of the outside world into your photos. Both lenses are add-on accessories that cost around $100 each. There’s more, though. For macro photography, the Olympus LED Macro Light Guide channels the TG-5’s flash into a circle of light around the lens to deliver even lighting that’s great for macro photography of tiny subjects. The TG-5 can also use the Olympus FD-1 Flash Diffuser, which is an adjustable add-on flash ring around the lens that softens the flash for macro photography — it’s great for shooting close subjects is darker situations. What about video? The TG-5 shoots a newly expanded variety of video ranges, starting with 4k video (3840×2160) at up to 30 frames per second. Full HD video at 1920 x 1080 is now boosted to 60 frames per second, plus the TG-5 has a High Speed Movie mode that will shoot at 1920×1080 at 120fps, 1280×720 at 240fps or 640×360 at 480fps. What we like most about the TG-5: The bright f2.0 aperture that lets you shoot at faster shutter speeds and the add-on lenses that help you extend its usability. 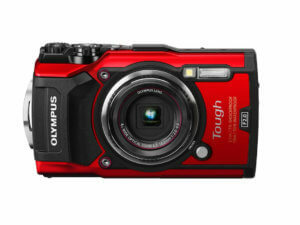 Shop Olympus TG-5 Tough at Amazon . . . or B&H Photo Video with free expedited shipping. 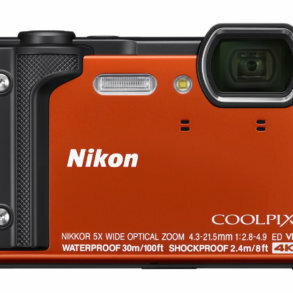 The new Nikon COOLPIX W300 waterproof camera is super rugged and takes sweet beach photos. We’re big fans of the newly updated 16 megapixel Nikon COOLPIX W300 and also liked its predecessor, the Nikon COOLPIX AW130. The biggest improvement to new W300 is the ability to shoot 4K video up to 30p and Full HD video at 1920 x 1080 at 60p — which is a great all-around setting for most people. As for the waterproof camera rugged specs, it is waterproof to 100 feet, shockproof from 7.9 feet, and freezeproof to 14 degrees. 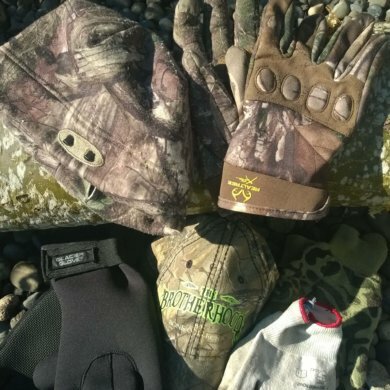 It boasts built-in GPS, along with an altimeter and depth gauge, WiFi — and now Bluetooth connectivity, too. The optical zoom is 5x and the maximum aperture is F2.8, which is relatively fast for waterproof cameras and helps it take decent photos in dimly lit situations. The lens is a 24mm zoom NIKKOR wide-angle lens. The W300 boasts 5-axis vibration reduction, which suppresses camera shake during video shooting. For GPS lovers, the W300 supports points of interest that adds names of locations where photos are taken to your images, plus it includes other cool features like the ability to graph altitude and depth changes, as well as let you scroll over maps by tilting the camera. The movie recording abilities include a feature that lets you pause recording then continue recording, all to a single file — or save a portion of a video as a separate file. Face Priority automatically recognizes faces and focuses accordingly. With Nikon’s Wireless Mobile Utility app, you can use your smartphone to take pictures remotely, zoom in and out, and enable the self-timer. 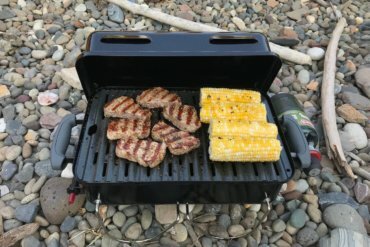 What we like most about the W300: In actual use, the W300 feels the most rugged, has a good grip, and we prefer its bright beach photos over most of the other competition. Shop COOLPIX W300 at Amazon . . . or B&H Photo Video with free 2-day shipping. The Fujifilm FinePix XP120 waterproof camera offers one of the best overall values in a rugged camera. 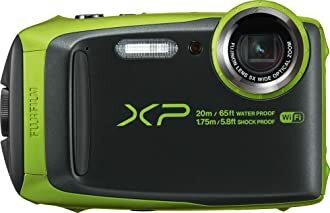 The 16.4 megapixel Fujifilm FinePix XP120 is waterproof to 65 feet, shockproof to 5.8 feet, and freezeproof to 14 degrees. It has a 5x optical zoom with a 28mm wide-angle setting and optical image stabilization. It can capture up to 10 frames per second at full resolution with a handy dedicated continuous shooting button on the back of the camera. It also lets you shoot Full HD movies at 1920 x 1080 at 60 fps, along with a wind filter setting to reduce wind noise. The FinePix XP120 includes Action Camera Mode, which fixes the camera’s lens to 18mm and turns off the rear LCD so you can mount the camera to your body and shoot longer while saving battery life. For filter fans, the camera offers 10 built-in filters, including miniature, which produces the fun surreal shots that look like the world was created out of intensely lifelike little toys. With the free Fujifilm Camera App, you can wirelessly transfer your photos to your smartphone or tablet — as well as save photos to a computer via WiFi. What we appreciate most about the FinePix XP90: It offers all the best waterproof camera features at a very compelling price-point. 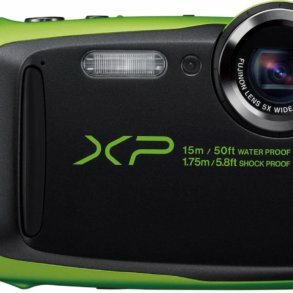 Shop FinePix XP120 at Amazon . . . or B&H Photo Video with free 2-day shipping. The Olympus Tough TG-870 waterproof camera boasts a flip-up screen to help you frame selfies and take photos at cool angles. 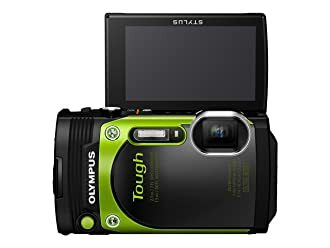 The 16 megapixel Olympus Tough TG-870 is waterproof to 50 feet, shockproof from 7 feet, freezeproof to the standard 14 degrees, and crushproof to 220 lbs (for back-pocket toughness). It has a 5x optical zoom, image stabilization, offers continuous shooting modes, and takes Full HD video at 1080p at 60 frames per second. While these features are expected in the best waterproof cameras in 2017, the TG-870 has two standout features. The first is a flip-up rear LCD screen. Why? It makes taking selfies a breeze, helping you ensure that your outdoor vistas are properly framed behind your face. And the second interesting feature? A super-wide 21mm (equivalent) lens that Olympus claims is the widest lens found in any rugged camera. It captures 25% more than the typical 28mm equivalent lenses in most other waterproof cameras. When you add this wide-angle lens to the Sportcam Mode — along with the cool optional Sport Holder — you can attach the TG-870 to a backpack or belt for hands-free use to capture your sporting exploits. Of course, the TG-870 includes several filters, time-lapse options, more than two dozen shooting modes, including four for underwater shooting, as well as a fireworks mode. What we appreciate most about the TG-870: It’s all-around versatility, decent video, and handy flip screen. Shop Olympus TG-870 at Amazon. The Canon D30 hasn’t changed in years, but it’s still solid, effective, and easy to use. 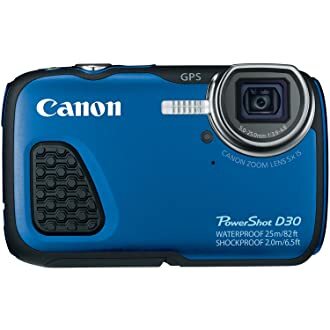 The 12.1 megapixel Canon PowerShot D30 is waterproof down to a whopping 82 feet, shockproof from 6.5 feet, and freezeproof to 14 degrees — and heat resistant to 104 degrees. It has a 5x optical zoom. Quick question: Is the 12.1 megapixel rating substandard compared to 16 megapixels in similar waterproof cameras? 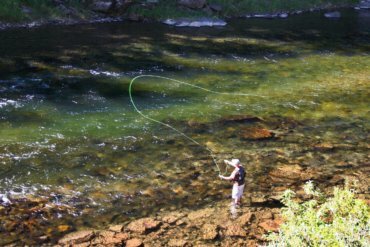 Not necessarily because the sensors in even the best waterproof cameras aren’t always able to collect and record light for each and every pixel, which often leaves you with “noisy” photos when shooting in tough conditions. The PowerShot D30 captures Full HD video at 1080p at 24 fps. You can choose from two dozen shooting modes. The camera includes a built-in GPS tracker that remembers where and when photos were taken so images can be captured along with the date, time, and location of each moment. With included software, you can track the locations of your photos on Google Maps. The D30 also boasts Canon’s Smart AUTO setting, which intelligently selects the proper camera settings based on 32 predefined shooting situations. Smart AUTO is coupled with Intelligent IS, which also automatically chooses from six different modes to help image stabilization for whichever shooting condition your working in. Unfortunately, the D30 doesn’t have WiFi or wireless control options that similarly priced competitors include. 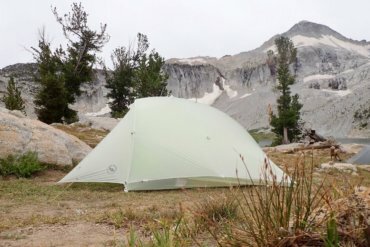 What we appreciate most about the D30: It’s simplicity and overall usability. Shop PowerShot D30 at Amazon . . . or B&H Photo Video with free 2-day shipping. The GoPro HERO5 Black has a usable touchscreen plus shoots stunning video. The GoPro HERO5 Black is actually an action camera, but it’s also rugged, waterproof and shoots surprisingly decent photos. 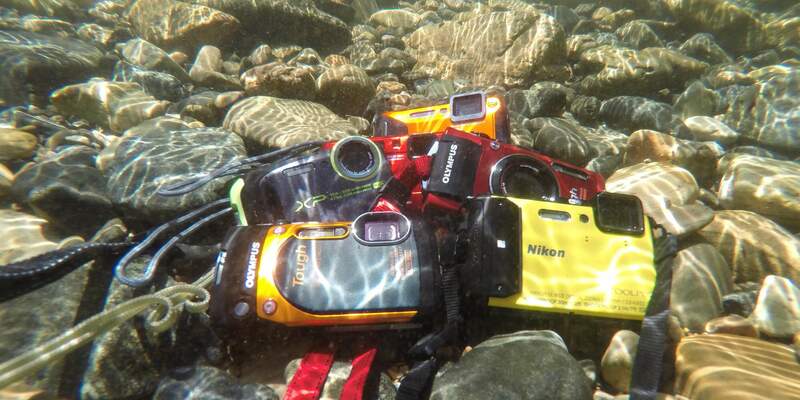 Technically, it could be the best waterproof camera for you if prefer the size and action video awesomeness. The only downside is that it does not have an optical zoom lens, but it does shoot stunning 4K video. If you shoot mostly video and only some photos, the GoPro HERO5 Black is for you. The great thing about the HERO5 Black is how usable it now is for non-action fanatics — the new touchscreen interface is better than ever, and the screen helps you see and frame shots, as well as review what you managed to capture. Unlike previous Black or Silver GoPro versions, the HERO5 Black is fully waterproof without the usual included clear case. 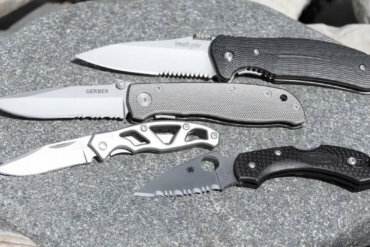 So what about the rugged specs? It’s waterproof down to 33 feet, which is plenty for most mortals. If you want to go deeper, you can get an additional case. The new usability features are what really make the new GoPro shine: It has voice control features in seven languages that will let you tell it to start taking video — and it will. It will also automatically upload photos and video to the GoPro Plus cloud when it’s charging (if you want it to). You can power the camera on and start recording with a single button press, and it now has very good digital image stabilization. 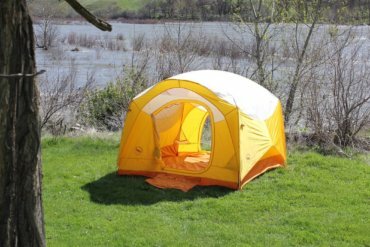 It boasts stereo audio recording and great wind reduction capabilities. The camera shoots 12 megapixel stills. All-in-all, if you have a priority for great video, the HERO5 Black is still the best action camera going for most everyone. As for photos, they’re surprisingly good in good outdoor light when your subjects are up close and personal — the GoPro has a wide-angle lens that makes it easy to always get your subject in the frame. What we appreciate most about the HERO5 Black: The video quality and much improved usability. 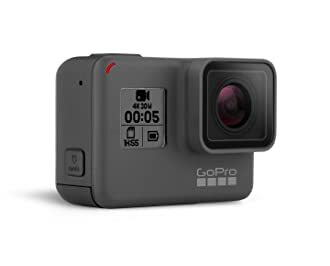 Shop GoPro HERO5 Black at Amazon . . . or at B&H Photo Video with free 2-day shipping. The Leica X-U underwater digital camera could be the very best waterproof camera here — if you’re the right kind of person to appreciate its pros and cons. The Leica X-U may be the best waterproof camera available today — at least when your priority is photographic quality and the experience of shooting with a finely made device. As you might expect from Leica, it’s pricey — it flirts with $3,000. It’s made in Germany to exacting specifications, and it’s an exquisitely crafted unit. It’s shockproof to 4 feet, waterproof down to nearly 50 feet, and it can handle snow, wind, and dust — it’s a surprisingly rugged camera for its form factor. The 16-megapixel sensor is paired with a 23 mm super fast f/1.7 aperture lens. It records Full HD 108op video at 30 frames per second, which, when you consider the price, is a con — we prefer 60 fps, and while that might be forgivable in a device at a tenth of the Leica’s cost, it’s hard to take when we’re talking three grand. If you’re still reading at this point, the Leica X-U fits a truly special niche for adventure cameras — a niche that starts with a big budget. What we appreciate most about the X-U: That it even exists! Seriously, though, the craftsmanship paired with a great lens all wrapped up in a rugged housing is nice to see even though few people will ever use it. 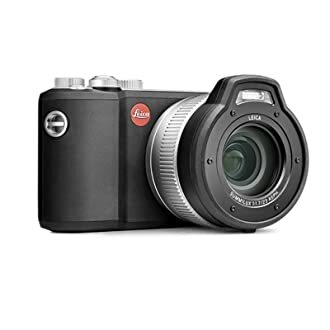 Shop Leica X-U at Amazon . . . or at B&H Photo Video with free 2-day shipping. All-in-all, each of these waterproof cameras are very good for most everyone’s wet and rugged adventure needs. 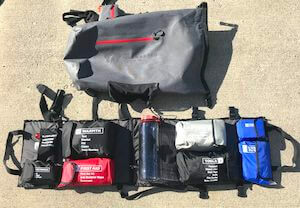 While some people might be able to get away with a smartphone in a waterproof LifeProof case, smartphones don’t mount particularly well to kayaks or rafts, nor do they go well with fast rivers or deep water. While the Leica has superior craftsmanship and excellent photo quality, it still doesn’t fit in your pocket like all the other adventure cameras. 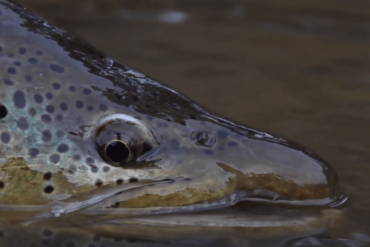 Their primary job of the best waterproof camera, as we see it, is to get you close to the action, wet and wild, and capture the shots and footage most people never get. If price isn’t a factor (other than for the Leica X-U), our favorite waterproof camera is the new Olympus TG-5 Tough with its telephoto zoom lens add-on accessory. If price is a factor, the previous generation Fujifilm FinePix XP90 is nearly the same camera as the XP120 — if you can find the XP90 for more than $50 less than the XP120, nab the XP90. If you’re on the best waterproof camera fence, the Olympus TG-870 just keeps growing on us. Why? We like the flip up screen, especially because it makes taking cool low-angle shots a breeze. Plus, it shoots 1080p video at 60fps, which makes splashing water seem just a bit more liquid if you find yourself shooting more and more video. 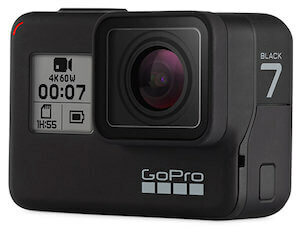 Of course, video brings up the popular (and excellent) GoPro HERO5 Black. If video is your passion, you can’t go wrong with the GoPro HERO5 Black. While it’s truly an excellent action action, it’s pretty darn good as a waterproof camera — and now it’s more usable than ever. The only downside is that there is no optical zoom. 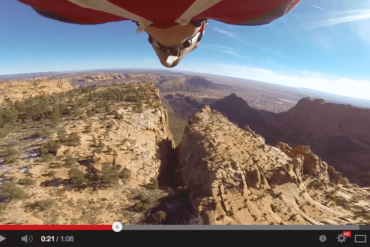 When what you’re after is up close and personal, though, the rugged GoPro is hard to beat. Another camera to think about is the Nikon Coolpix S30, or the new S32. First, it’s cheap, you can get one for $60 if you look around, and B&H has the S32 for $106. It’s marketed more toward beginners and kids so there are some gimmicky settings but it takes excellent underwater photos and videos. The best thing though might be the intuitive interface. It’s so simple that it is easy for me to switch between photo and video or change a setting while holding my breath. I’ve been pretty impressed with the S30 my son has, but it’s only rated for 10′ depths. It has pretty good aperture, an optical zoom and 720p video, and it seems to make the right choices to take good pictures most everywhere. The S32 is rated to 33′, beyond which you really should invest in a housing anyway, and shoots 1080p. I’ve been considering one…as my larger camera molders on the shelf for lack of use. Thanks for the tip, Jens. I added a related option that notes those two Nikon models below the feature-packed AW120. I especially like your point about the S30 and S32 being kid-friendly. When you turn a kid loose with a camera, you can get some surprising results.